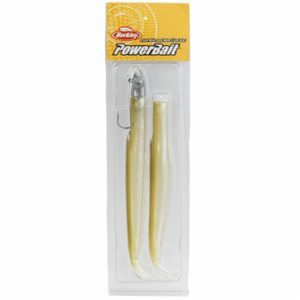 Berkley Softbaits – Berkley fishing was founded in 1937 in Spirit Lake, Iowa, by 16-year-old Berkley Bedell. It is the flagship brand of Pure Fishing and a world leader in technologically-superior fishing tackle. Continued commitment to producing outstanding fishing tackle has resulted in a legendary line-up of products under the Berkley umbrella that includes Berkley Trilene, Berkley FireLine, Berkley PowerBait, Berkley Gulp!, Berkley Lightning Rod, and a variety of others..
Berkley, the premium brand in fishing tackle, fuels the avid angler’s passion for fishing, and offers the broadest array of innovative solutions in the industry.